Separate reports indicate that Amazon may soon launch its Kindle e-readers in Brazil and in Japan, PaidContent notes. 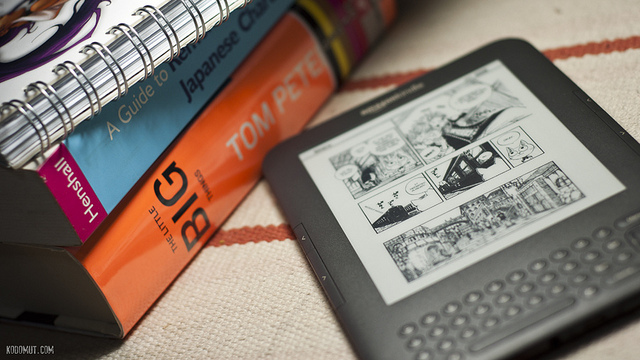 This would be one more step in the Kindle’s global rollout, following its recent launch in Italy and Spain. As we reported, Amazon has also recently started to ship its Kindle Touch worldwide. Technically, it means that the device is already available in Brazil and Japan. However, a full-scale launch would have much more impact, as it would include localized versions in Portuguese and Japanese. There are certainly quite a few signs that Amazon is working on licensing online content in those two countries. In Brazil, the first reports of negotiations with local publishers emerged in May 2011, and Amazon has since then hired local staff focused on acquiring content for the Kindle. As for Japan, the local newspaper The Nikkei believes that the Kindle will start selling in April for less than 20,000 yen (US$260), Reuters reports. According to the daily, Amazon will team up with NTT DoCoMo so that customers don’t pay communications charges when downloading e-books over DoCoMo’s network. According to PublishNews, things may take a bit longer in Brazil. While Amazon plans to close its first deals with Brazilian publishers by March or April, it would start operating by June or July. As for devices, the company is still working on cost estimates before setting its prices, but is considering selling its most basic Kindle for R$199 (US$116). While this is much more expensive than in the US, it would be a much more attractive price than most tablets and e-readers available on the Brazilian market. While it is expected that Foxconn will soon start manufacturing iPads in the country, the operations’ start date still remains to be confirmed – not to mention launch date and pricing. We have approached Amazon for comment and will update this story accordingly.